Web Prancer brings you two great new Android apps starring the worlds favorite fat cat! Defend the Last Lasagna against hordes of ravenous zombies in Garfield Zombie Defense and give your phone Garfield’s laid-back style with Home Sweet Garfield Live Wallpaper! 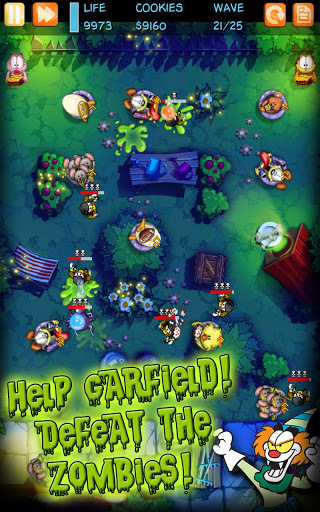 Help Garfield fend off hordes of lasagna-craving zombies in this action-packed tower defense game! 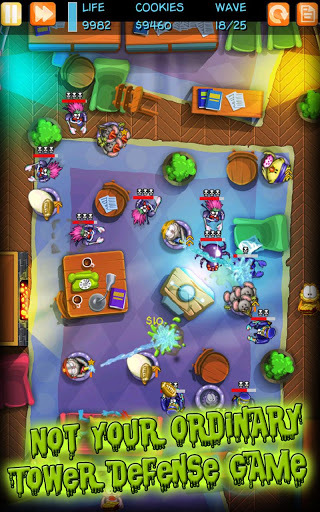 In Garfield Zombie Defense, players join Garfield and friends as they protect Muncie’s Last Lasagna from the towns zombified citizens. 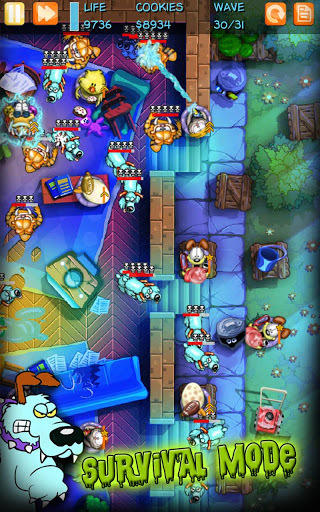 Players must place defenders in designated spots to try stop the waves of zombies as they shuffle and drag their feet towards the towns sole untainted lasagna. 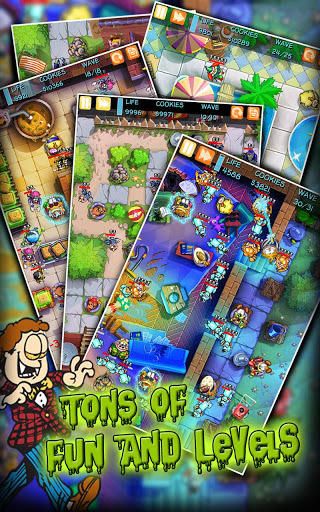 Download Garfield Zombie Defense for FREE on Google Play now! 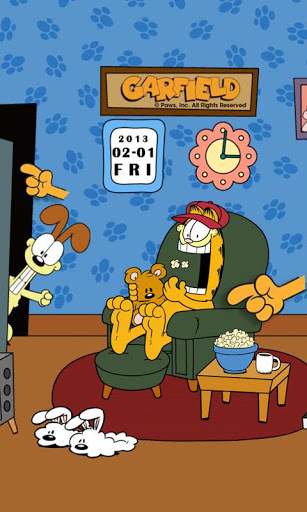 Relax and forget Mondays with Garfield as he goes for all-out comfort right on the home screen of your Android device! 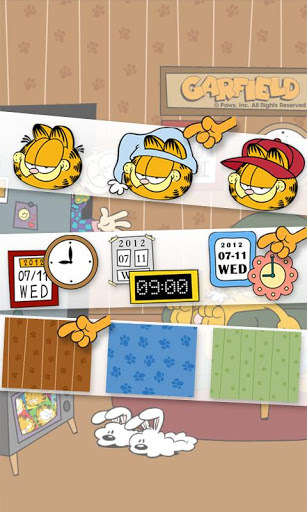 Home Sweet Garfield Live Wallpaper is an interactive theme/wallpaper that gives you an insight into the idle life of the flabby tabby. 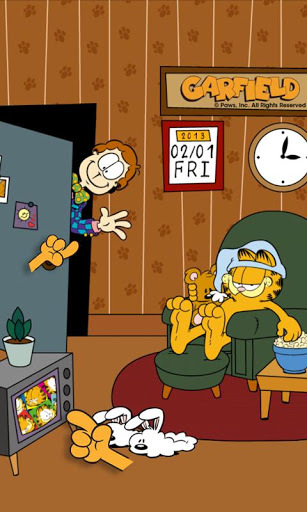 Chill and hang out with Garfield in the comfort of your phone. 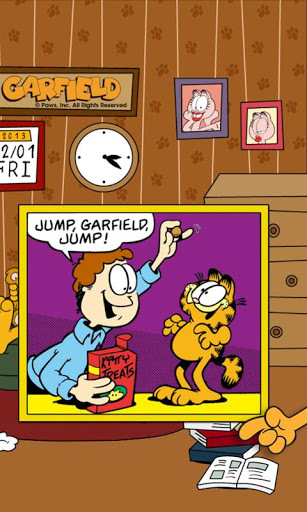 Get this sweet Garfield live wallpaper for Android!